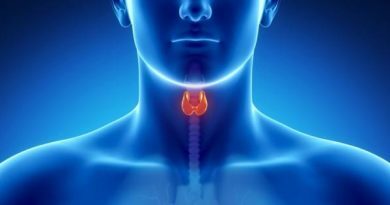 Thyroid Guide – Thyroid Symptoms in Women: The thyroid gland is an endocrine gland that is the primary responsible in regulating the body’s metabolism. This means that the thyroid gland is also in charge of converting the food into useful energy. Once the thyroid is dysfunctional, symptoms related to the body’s metabolism can be observed. Commonly, thyroid symptoms in women can be an effect of a malfunctioning thyroid gland. The gland produces two important hormones called triiodothyronine or T3 and thyroxine or T4. 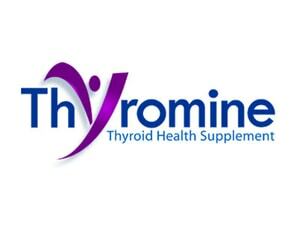 Accordingly, even though the T3 hormone has the least composition in the thyroid hormones, it is considered to be a more powerful biological hormone than T4. When the functions of thyroid gland become abnormal, some symptoms to be observed include weakness of muscles and fatigue even with simple work done and having dry and coarse skin. In addition, one may also have a low basal temperatures or cold intolerance that can be characterized by coldness of hands and feet as an underactive thyroid symptom in women. Moreover hair loss may be observed as a sign that the body is not getting ample source of nutrition as the thyroid gland fails to trigger enough metabolism of food eaten. With this, weight gain may be possible because food will be more likely to be stored that to be utilized due to decreased metabolic rate. Also, other underactive thyroid symptoms in women include mild depression, loss of memory, tremors, dementia, shivers, nervousness, immune system related problems and heavy menstrual flow. On the other hand, overactive thyroid symptoms in women include some complication in the digestive track. Since thyroid disorders cause some body functions not to perform well, the improper process of breakdown of food will take effect on one’s stomach, resulting to some loose bowel movements. Hyperthyroidism in women may also show symptoms of excessive sweating, heat intolerance, rapid heart rate, nervousness, decrease concentration, possible weight loss due to increased metabolism of the body and irregular menstrual flow. In some worst cases, if hyperthyroidism in older women may result to heart failure and if left untreated, it may complicate to the so-called thyroid storm- a condition characterized by heart failure, fever and increase in blood pressure.